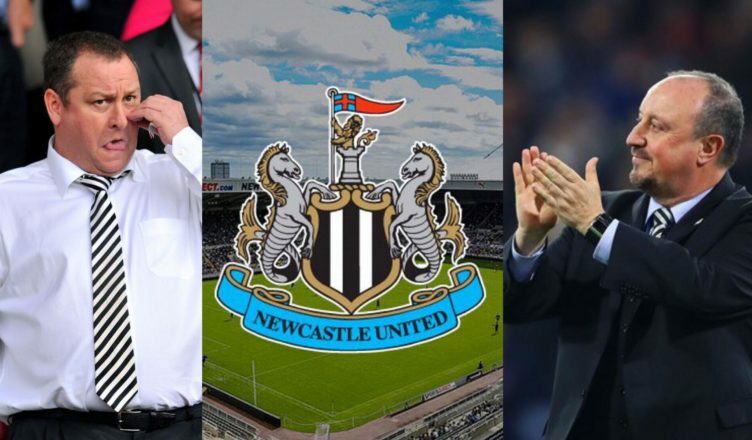 Club reporter reveals what people ‘behind the scenes’ are saying about Ashley, Rafa & transfer plans – NUFC blog – Newcastle United blog – NUFC Fixtures, News and Forum. According to the Chronicle, people ‘behind the scenes’ at Newcastle believe Benitez will be offered the chance to make a “significant signing” over each transfer window – with Mike Ashley making plans on the assumption he’ll remain at the club. This comes from Chris Waugh during the Chronicle’s latest Q&A session today, however he does suggest that the club may be insistent on signing player under 26 – and it remains to be seen if Rafa will agree to such a transfer blue print. “Newcastle remain on the market, but the noises behind the scenes at St James’ Park still suggest that Ashley is likely to be owner in the medium term. “Of course, that could change quickly should a substantial bid arrive, but certainly plans are being made for the eventuality where Ashley is still in charge come the summer window. “Part of those plans involve finally convincing Benitez to stay on Tyneside, and transfers have featured prominently during both the formal and informal discussions the United manager has held with the club’s hierarchy over the past 12 months. “Sources at St James’ Park – and, indeed the club themselves at the Fans Forum – claim that there were funds for Benitez to spend last summer on the so-called “right players”, while they would surely also point to the initial £16m outlay, which could eventually rise to around £21m, for Miguel Almiron in January, too. “There was, it is claimed in the Fans Forum minutes, a willingness to break the club’s transfer record for a striker last summer – with Alassane Plea and Willian Jose believed to be two they put Benitez’s way. However, Benitez has the final say on transfers and Salomon Rondon was the striker he wanted, although he did also like Plea. “Going forward, the suggestions from behind the scenes towards Benitez has been that he would be afforded a “significant signing” potentially every season, if not maybe even every window – someone in a similar price bracket to Almiron. “Hoffenheim’s Joelinton has been linked with a move to Tyneside, and seemingly any “significant signing” would need to fit the under-26 preferred age profile United hold. “But whether Benitez wants such a transfer blueprint, or if he would prefer to be given a specified budget every summer to spend as he pleases, seems to be the sticking point. The idea of a transfer blue print that only allows Rafa to sign the ‘right players’ under the age of 26 worries me – it’s insulting and suggests non-footballing people think they know better than Benitez himself – however I do think Benitez *might* be open to this IF there were compromises. Signing players below the age of 26 with high potential can be exciting for the club if done right, but it’s key that he’s allowed the odd exception – and a prime example would be the signing of Salomon Rondon. He’s proven, he’s experienced and he’s a great character – and two of those three traits can’t be guaranteed when signing a young, inexperienced, unproven player from France, Italy, Germany or Spain to name a few. Let’s hope a compromise can be reached. A typical Chris Waugh story. Newcastle remain on the market , but they’re not for sale, unless Ashley sells. Referring to Waugh as a “club reporter” is like referring to Satan as a Church Recruiter. He has no inside information, couldn’t break a dinner plate, never mind a story and as for knowing stuff about the club I bet he uses a GPS to find SJP.